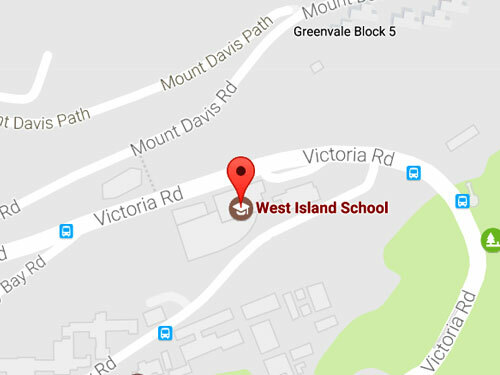 In September 1991 West Island School began, with six full-time and six part-time teachers and eighty-four Year Seven students in temporary rented accommodation in the old British Military Hospital in Borrett Road. The old red brick building was attractive and educationally historical. West Island School was the first ESF school to offer the Mandarin language to all students and the first to be divided into Chinese dynasties instead of houses. We want our students to benefit uniquely from spending time in school in Hong Kong and these aspects of the schools foundation along with other cultural experiences will be a life-long reminder for them. As the personnel of the school grew so did the new building, stunningly designed by architect Patrick Lau who won various accolades for this exciting concept of education on an implausible site overlooking the sea and blending beautifully into its surroundings. From the beginning of West Island we wanted recognition of the partnership in education between students, parents and teachers as a school community. The PTA began three months before the school opened and the Student Council soon became an integral part of school management too. Our school is a vibrant, living organization and as such changes perpetually. We can always see better ways to go forward and we remain open to suggestions from all our partners so that together we move towards our ideal international community school.